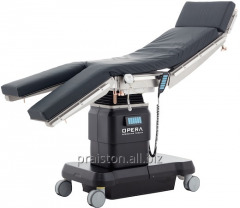 Designed for operations and treatments in the field of general surgery, vascular surgery, cardiac surgery, neurosurgery, urology, gynecology, proctology, ENT, ophthalmology, endoscopy, laparoscopy, traumatic surgery, oncology, dental, plastic surgery and others. 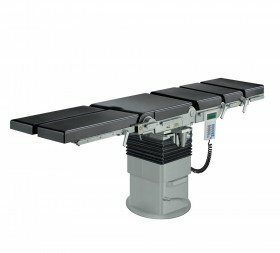 Deck the possibility of longitudinal displacement has a removable, seamless, antistatic mattresses resistant to disinfectants. 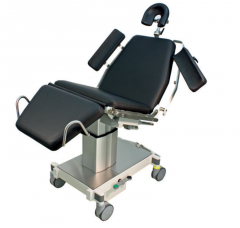 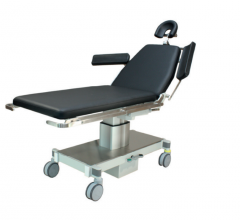 Adjustments: height, lateral tilts, longitudinal top, level the top, the slope of the backrest, the longitudinal displacement counter, the slope of the footrests and lock the wheels actuated by electromechanical and electrohydraulic systems. 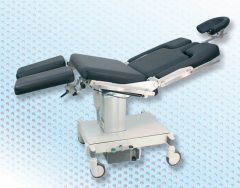 Unbelievable price on The operating table FAMED ŻYWIEC Model SU-06.0 in Leszno (Poland) company Praiston, PPHU.